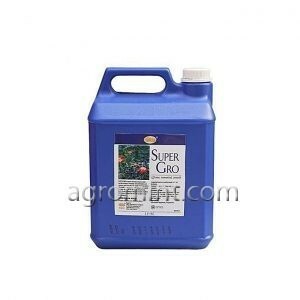 Super Gro is 100% organic; a liquid fertilizer made from poultry droppings and seabird guano. Very safe to use and handle: Non-caustic, non-inflammable and non-toxic. 100% organic liquid fertilizer made from poultry droppings and seabird guano. Safe to use and handle: Non-caustic, non-inflammable, non-toxic.